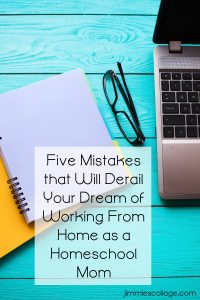 There is a reason that guilt makes the number one slot among the five mistakes that will derail your dream of working from home as a homeschool mom. Guilt about working is a ruthless and crafty enemy that whispers lies to us, lies that we are conditioned to believe. 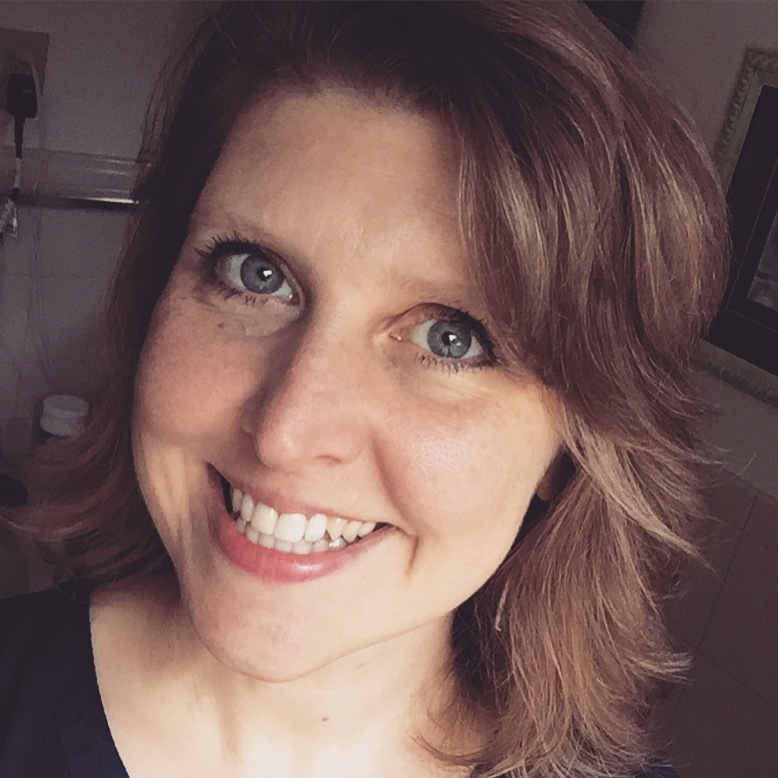 If you don’t have this guilt thing worked out, you are going to suffer through your years as a working mom, with a pervasive feeling of failure and shame. You may ping pong between feeling guilty about not giving enough attention to your kids and feeling guilty about not doing a good enough job with your income producing work. There is no guilt in being a working mom. Not one shred. Because I lived in a developing nation for 8 years, I have first-hand understanding of the struggle for survival that many people in the world face. No mom in a third world or developing nation feels guilt about spending time working to feed her kids. No. She is thankful for the avenue to bring in income and the health to get up and work each day. Working is a natural, unquestioned part of life. You don’t work; you don’t eat. And those moms are typically far away from their children for long hours a day. It’s not uncommon for many women in Asia to relocate to a different city, province, or even country to have the chance to earn a living wage, leaving children behind to be raised by relatives. 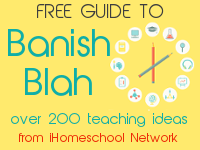 You are a homeschool mom who works from home! You see your children hours a day. You aren’t missing out on their formative years. You are right there beside them. So stop comparing yourself to some imaginary ideal of a mom who spends 12 hours of quality one-on-one time with her children each day, entertaining them with imaginative games and crafts, engaging them in stimulating conversation, and offering them nutritious, organic meals and snacks made from scratch. 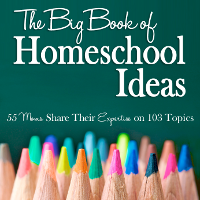 You can do those things as a work at home homeschooling mom. But you can’t do them all day, every day. So stop feeling badly that your kids “see you on the computer all day.” Are you goofing off on Facebook and Pinterest for hours at a time? Then maybe you should feel guilty (unless this is your self-care time). But if you are working, there is nothing negative about it. Turn that feeling on its head. 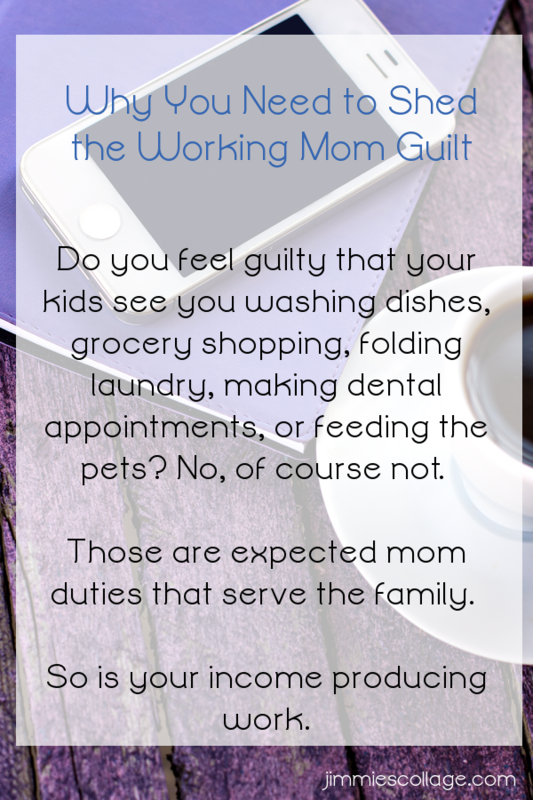 Do you feel guilty that your kids see you washing dishes, grocery shopping, folding laundry, making dental appointments, or feeding the pets? No, of course not. Those are expected mom duties that serve the family. So is your income producing work. In fact it’s good for your kids to see you working in two big ways. We can talk until we are blue in the face, but our kids learn from our example far more than from our lectures. When you are diligent and hard working, your kids see it and learn from your modeling. It’s true. There will be times when you can’t pay attention to your children because you have a phone call, an big project to work on, or a hundred emails in your inbox that need replies. That is not a bad thing. Our kids need to learn that they are not the center of our universe (or anyone else’s). When left to their own devices, they will entertain themselves and gradually learn to make independent decisions. 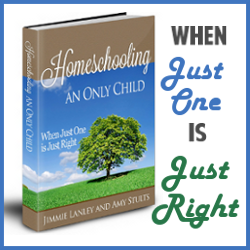 When you are a work at home, homeschooling mom, you don’t have much risk of being a helicopter parent. Your kids are more likely to be free-range simply because of your time constraints. Free-range kids are emotionally healthy, confident, and responsible! “Free-range kids are emotionally healthy, confident, and responsible!” — I can confirm this! Yes, Jimmy. I agree 100%. 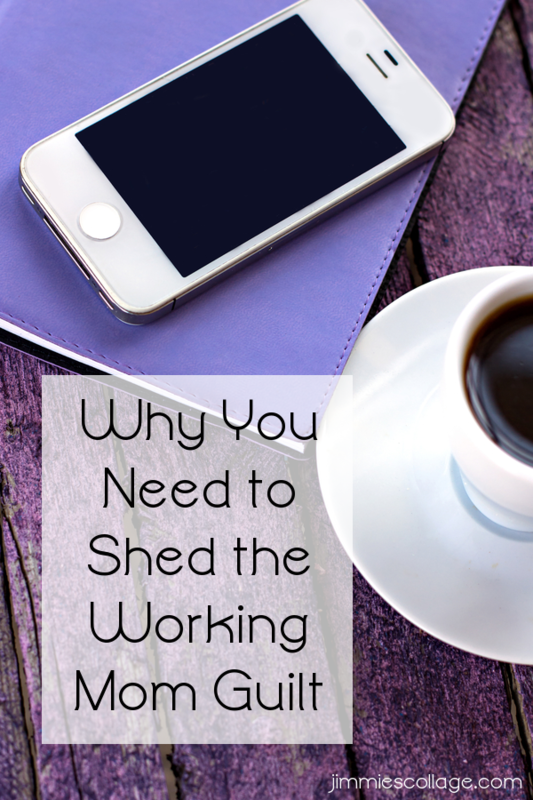 As a mom who works MANY hours each week, I have learned to get rid of this guilt, and focus on the many BENEFITS that working brings my children (and me!). I love your blogs.Very insightful and to the point. I gain a lot of strength from your words. I’m a WAHM and going to join as a teacher in couple of months. I’m not guilty of showing my daughter that anything is possible with diligence, a grateful heart and mindfulness. Thank you.